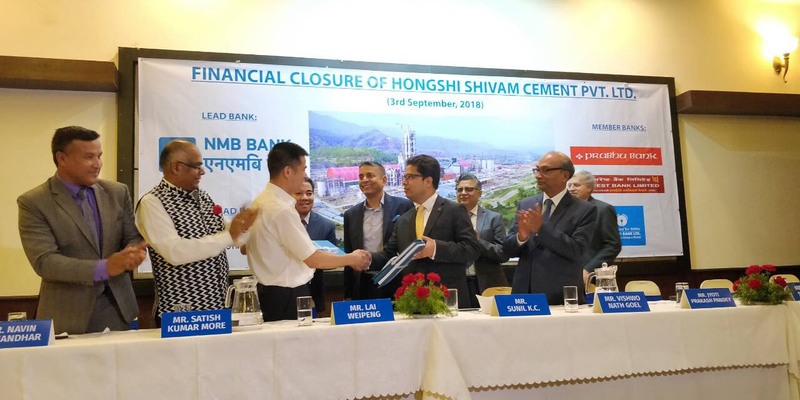 The largest project loan syndication in the history of the Nepalese Banking industry - that of Hongshi Shivam Cement has successfully come to a closure. 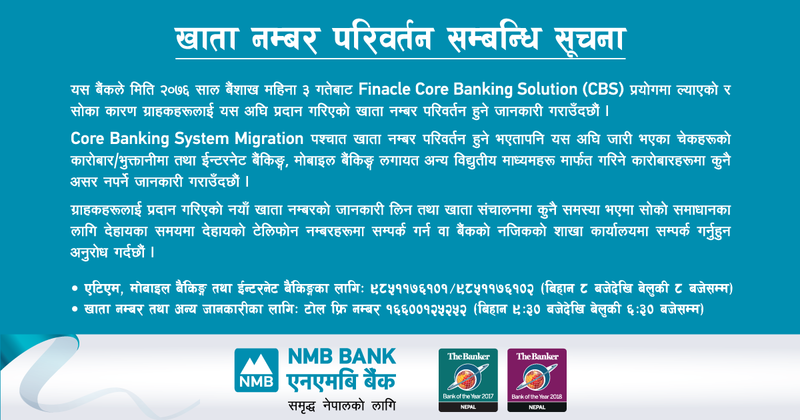 The syndication is led by NMB Bank with - NPR 6.75 Billion, Co-Lead Bank by Nepal Investment Bank with NPR. 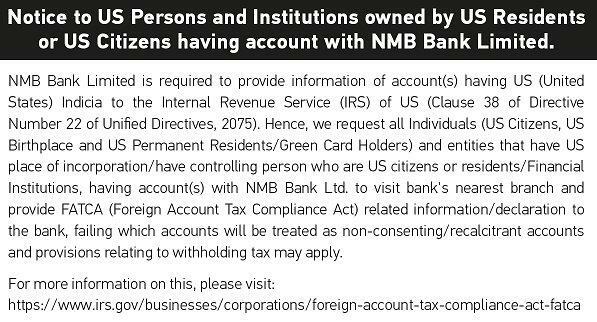 4 Billion and member banks comprising of Prabhu Bank : NPR 3 Billion, Everest Bank: NPR. 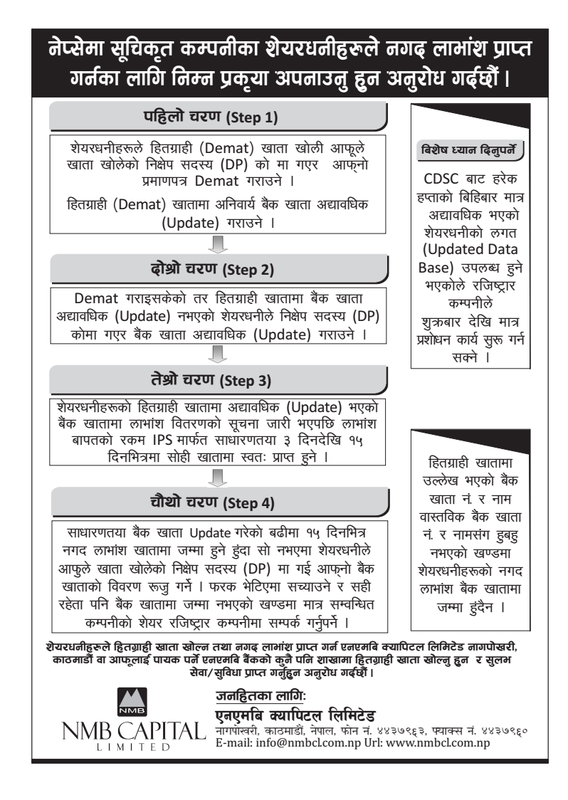 1.25 Billion; Nepal SBI Bank: NPR. 1 Billion. The syndication is secured by Financial Bank Guarantee of Bank of China and China Minsheng Bank and the loan tenure stands at 7 years. Hongshi Shivam Cement is a joint venture of Hong Kong Red Lion Cement no 3, a subsidiary under Hongshi Holding Ltd with 70% stake and Shivam Holding Pvt. Ltd. a subsidiary under Shivam Cement Limited with 30% shareholding. The company has received approval from Investment Boards Nepal and Nepal Rastra Bank to inject Foreign Direct Investment for the equity portion of Nepali rupees 9.82 Billion. Under full capacity, the company will produce 6,000 tonnes per day clinker and cement (i.e 120,000 cement bags per day). The factory will also be self producing 12MW of electricity through waste heat recovery out of the total power required of 50MW. “NMB Bank believes in supporting projects that contribute to the long term sustainable growth in the country. Projects like this also supports growth in infrastructure, encourages injecting FDI in the economy and helps generate employment.” remarked Mr. Sunil KC, Chief Executive Officer, NMB Bank.